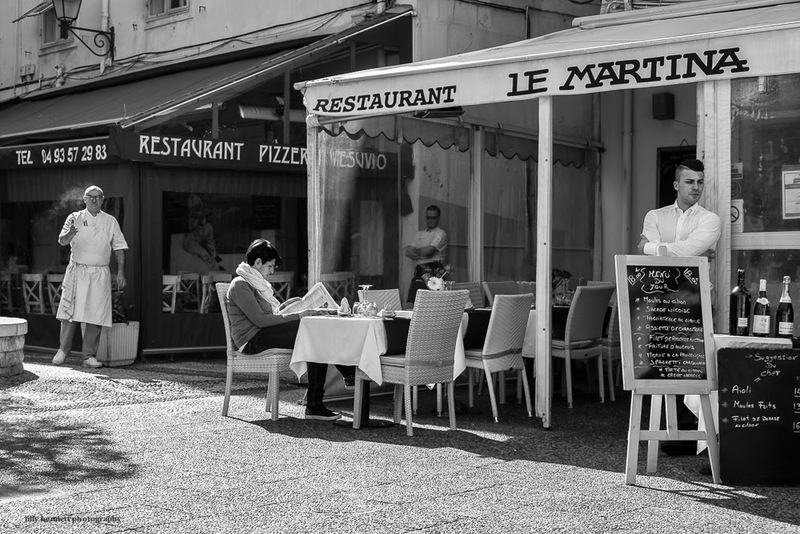 Walk past any restaurant around 12h.00 and the chef and waiting staff will be taking a last break, probably with a cigarette, before the lunchtime service begins. Passez devant n'importe quel restaurant autour de mid, le chef et les serveurs attendent en faisant une dernière pause, probablement avec une cigarette, avant que le service de midi ne commence. Quite a slice of life shot. I find myself wondering what headline has the woman's attention. Carolyn are watching the new Ken Burns documentary about cancer as I write this and the present section is about smoking. Something well worth watching when it gets to Europe.